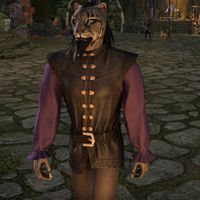 Ab'jhad is a Khajiit mage from Elden Root. He can be found wandering around the second level of the Elden Tree. Contract: Grahtwood: Carry out a contract on behalf of the Dark Brotherhood. This NPC was added on May 31 2016, with Update 10. This page was last modified on 22 October 2017, at 00:38.